The latest solar-powered concept phone released by the company is capable of generating energy via solar panels that have been built into the screen. The company unveiled this amazing 5-inch device at Mobile World Congress (MWX) in Barcelona. Smartphones have become a critical accessory for us all and this means that our biggest fear as of now is running out of battery. We have all been in that dark situation where the battery dies on you. The whole world comes down crashing, your gut sinks and you are stranded in a very real world without the comfort of your smartphone. Now, how would you feel if you were able to charge your device by making use of sunlight? There’s the smile we were hoping to get. 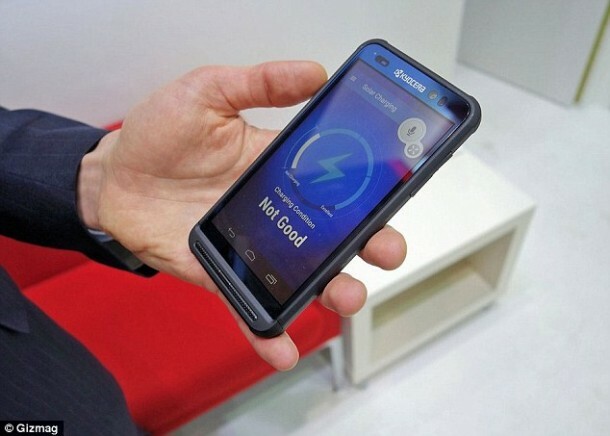 Kyocera is a Japanese electronics firm that is trying its best to come up with a phone that is solar-powered. The latest solar-powered concept phone released by the company is capable of generating energy via solar panels that have been built into the screen. The company unveiled this amazing 5-inch device at Mobile World Congress (MWX) in Barcelona. Three minutes in sunlight amount for one minute of call time, sounds amazing. The amazing gadget was developed in collaboration with a French firm, SunPartner. SunPartner came up with the built-in solar panel that has been named as WYSIPS (What You See Is Photovoltaic Surface). 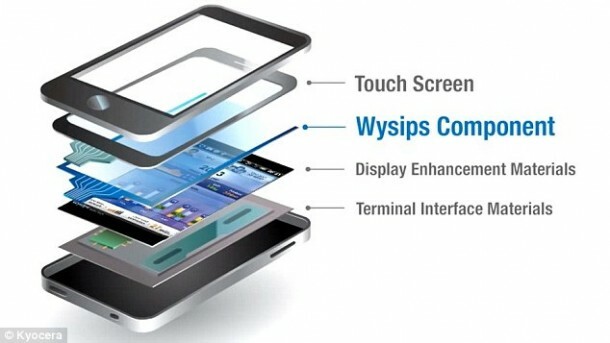 The WYSIPS features a 0.55mm transparent panel that is placed between the touchscreen layer and the display of the smartphone screen. This power generating display layer is then connected to a chip that is capable of managing and converting solar energy into power that can be stored into the device’s battery for use. The phone doesn’t just depend on sunlight for charging and also relies on the conventional battery. It comes with an app that lets the user know about charging conditions. As to when will it become available, there’s no information. It is currently still in conceptual phase, however it gives a glimpse of the future that awaits us. Hopefully a future where we don’t run out of battery power when using our beloved smartphones.